LE CASTELLET: Lewis Hamilton said he is happy with Mercedes team chief Toto Wolff’s “open and critical” approach to team meetings — and admitted he was “very average” at the Canadian Grand Prix. In Montreal, Hamilton, the reigning champion driving on one of his favourite circuits, finished only fourth as rival Sebastian Vettel, in a Ferrari, won and took over as leader of the title race. Mercedes, who won the constructors title last year, have struggled for consistency this year. “We can do better, we can all squeeze more juice out of ourselves and out of the car,” he said. “Montreal was a very, very average weekend performance-wise. He said this open approach was instigated by Wolff. “It is something the guys all do, so when they have their big meetings back at the factory they are very, very openly critical. Hamilton, who has yet to commit to a new contract with Mercedes, is one point behind four-time champion German Vettel ahead of Sunday’s French Grand Prix. 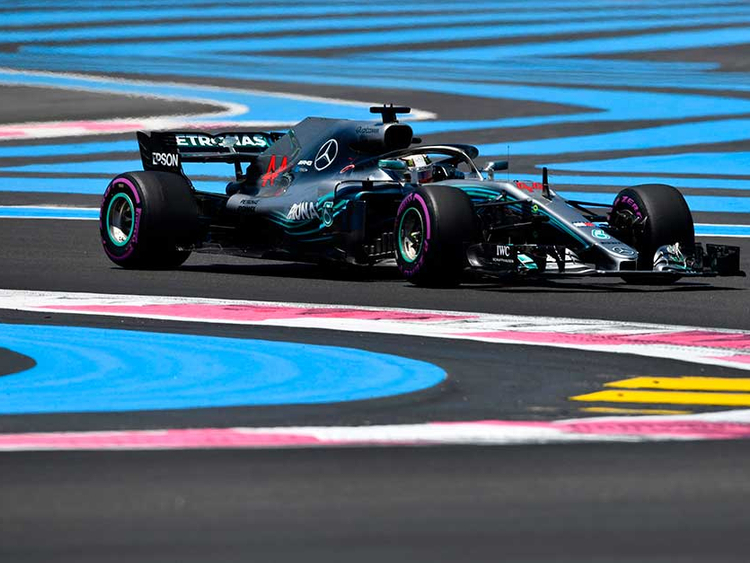 Hamilton was fastest for Mercedes in the first practice for the first French GP in a decade with the session halted after Swedish driver Marcus Ericsson suffered a fiery crash. The Briton complained about his car’s handling over the radio but still put in a best time of one minute 32.231 seconds. His Finnish teammate Valtteri Bottas, also with a new Mercedes engine in his car, was second fastest in 1:32.371 as France made its return to the F1 calendar for the first time since 2008. The 90 minute-session was red-flagged with a minute remaining when Ericsson lost control at the Beausset corner, spun and hit the barriers hard, with the Sauber car then catching fire.